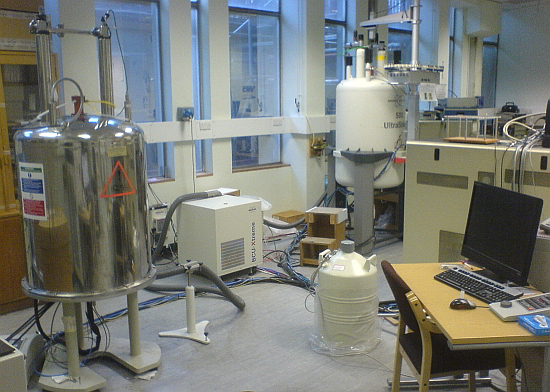 Solid-state NMR spectrometer Avance I 300 with a wide-bore magnet for multinuclear wide-line and high-resolution NMR measurements. 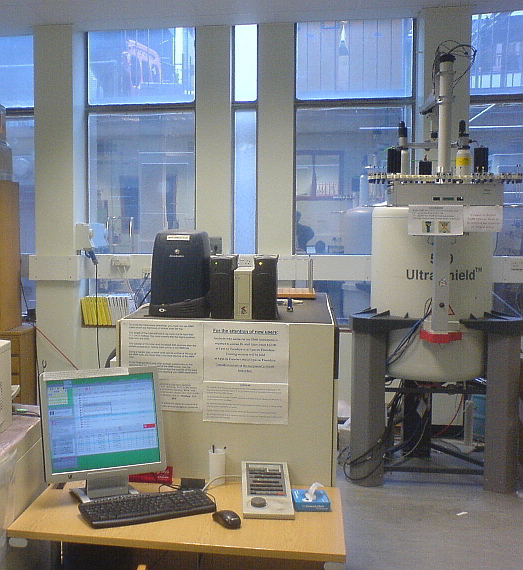 All four solution NMR instruments are equipped with robotic sample changers. 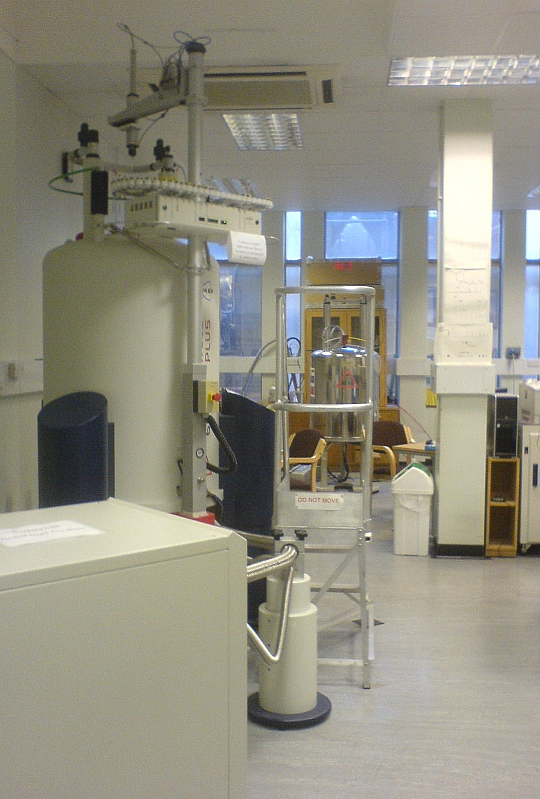 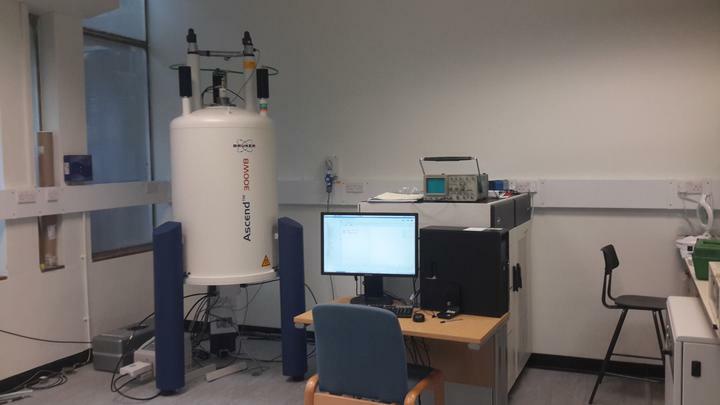 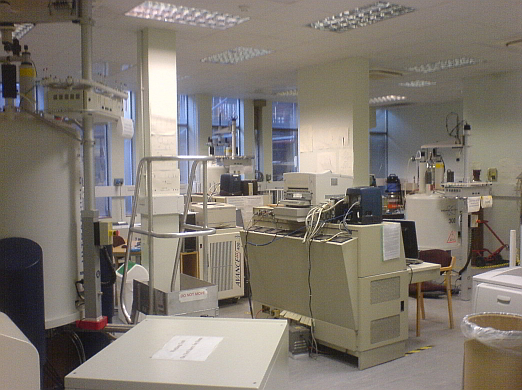 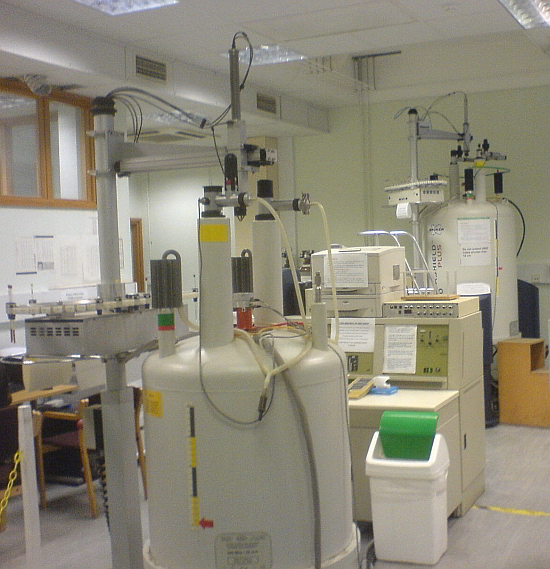 The NMR instruments can be found in the basement of Christopher Ingold Building (CIB), in room LG1B.